At the forthcoming Wiz Bang Bar, one of America's most exciting ice cream makers will shake up the dessert scene with an explosion of delicious new ideas. When Salt & Straw's Tyler Malek got the chance to open an ice cream shop in Pine Street Market, Portland's first high-end food hall, he knew he wanted to do something different. "It was a little intimidating because the best chefs in the city are coming together in this space, all doing brand-new concepts," he told us at a secret NYC pop-up last night. To match the innovation he expects to see from chefs like Common Law's Patrick McKee and John Gorham of Tasty n Sons, he set to work on a new concept. The result will be Salt & Straw Wiz Bang Bar, a small space with a ten-seat counter modeled after a sushi bar. 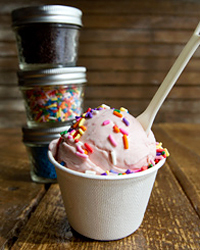 Malek sees it as an R&D lab and a venue to showcase his team's most ambitious, spur-of-the-moment ice cream innovations. Since launching the brand in 2011, cofounders Tyler and his cousin Kim Malek have grown Salt & Straw into one of the country's most exciting ice cream companies, with shops in Portland and Los Angeles. They're best known for an unrelenting stream of improbably delicious hard pack flavors (like bone marrow with smoked cherries, and cauliflower-garam masala), but Wiz Bang Bar will shake things up even more with an explosion of creative ideas, some of which have been in development for years. The focus will be soft-serve ("the malleability is really enticing and fun to play with," Malek says), but there's a ton more in development. Malek is very excited: "These recipes are just mind-blowing in my opinion." Last night, we tried three experimental menu items: a tiny waffle cone of smoked ham soft-serve, dipped in a Magic Shell-like coating that tastes vividly of Oregon black raspberries ("No one in the world that I've found has done Magic Shell with fresh fruit. It took us quite a few years to figure out. "); a plated dessert with bruléed grits, vanilla custard soft-serve and housemade Crunch Berries ("I think that's trademarked, so we'll probably call them crunchy berries. 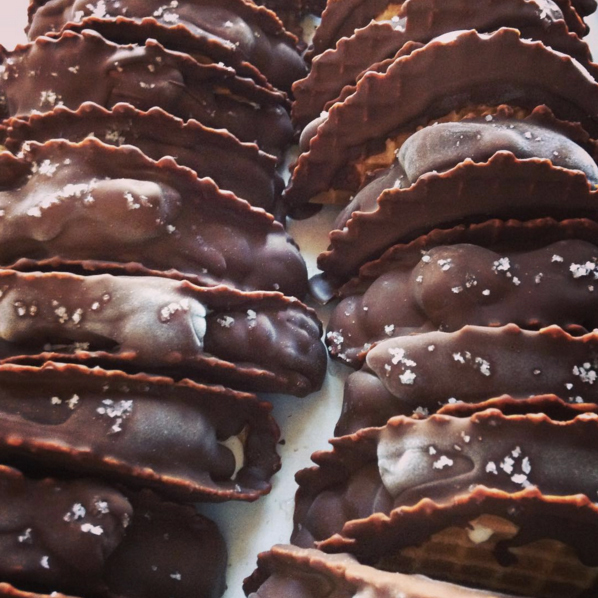 "); and what is undoubtedly the world's most delicious version of a Choco Taco, filled with ancho chile ice cream, coated in lots of bean-to-bar Woodblock chocolate and finished with Bitterman Salt Co. sel gris. 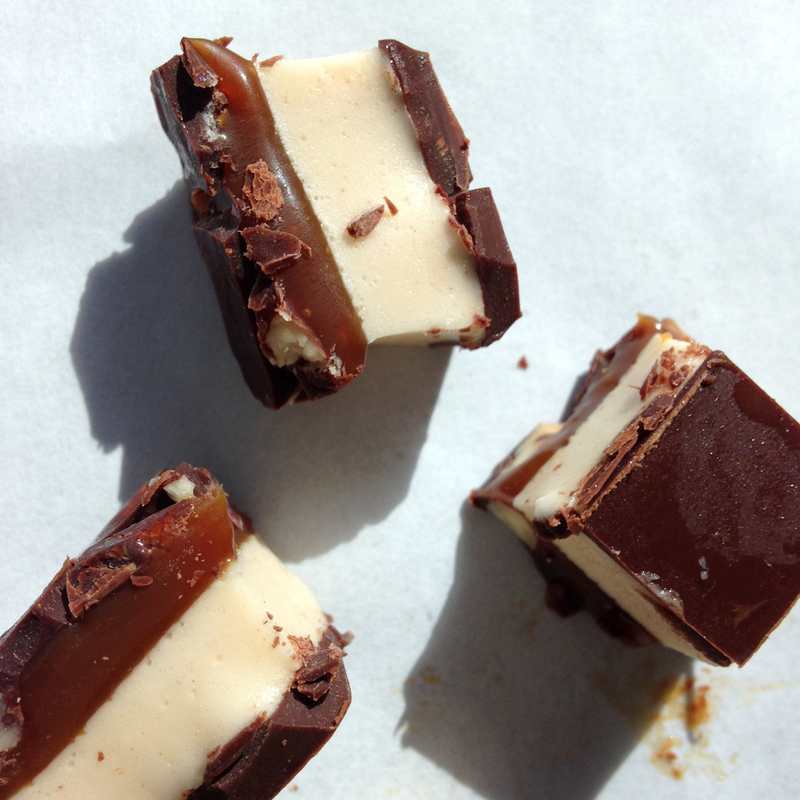 There is plenty more planned for this new shop including ice cream sandwiches, cakes and house-made Snickers bars filled with vanilla custard (pictured above). Salt & Straw Wiz Bang Bar is set to open on April 1.